On Wednesday 16 July, Flight Sergeant Bradley Simpson undertook his next assignment as Lord Mayor's Air Cadet for Coventry by attending the opening of the Centenary Fields project at Coventry War Memorial Park. The event was officially commemorated by non other than HRH The Duke of Cambridge. FS Bradley Simpson has only just been appointed as the Air Cadet representative for Lord Mayor, Councillor Hazel Noonan, for 2014-15 but already he has been prominent in the Armed Forces Day parade and then a personal invitation to join his counterparts from the Army and Sea Cadets in the royal enclosure at this prestigious event landed in the doormat! The Centenary Fields project aims to secure recreational spaces across the nation to honour the memory of the millions of people who lost their lives in World War I. Coventry's very own War Memorial Park was designated to be the first space and was launched by HRH The Duke of Cambridge who assisted Councillor Hazel Noonan in unveiling the new plaque which will be displayed alongside the War Memorial. 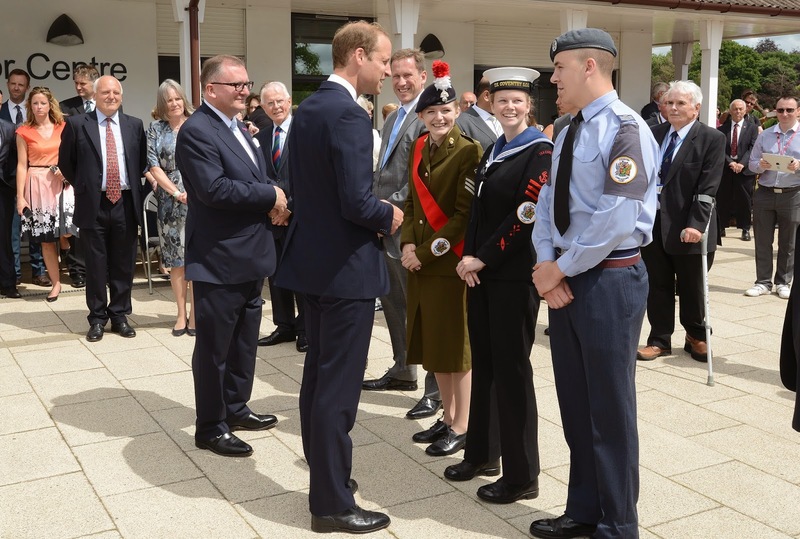 FS Simpson was extremely nervous about meeting HRH but said that he felt totally at ease when speaking personally with him: "It was such an honour to meet with Royalty and I am so proud to represent 84 Squadron and the Air Cadets in general. This is such a fantastic cause to be involved with in this centenary year".